At KSB we are experts in water treatment, water conditioning and seawater desalination. 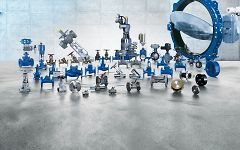 KSB pumps, valves and systems stand for technical progress and meet all recognised standards. KSB is a recognised specialist for reverse osmosis (RO) processes and offers optimum solutions for MSF (multi-stage flash) and MED (multiple effect distillation) processes. 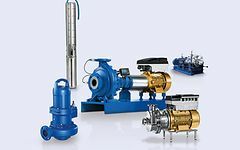 KSB pumps stand for innovative technology and top performance in water treatment. They are energy-efficient and reduce the life cycle costs of the systems they are installed in. The high-pressure pumps of KSB’s Multitec-RO series stand for top operating reliability as well as low energy and maintenance costs in reverse osmosis processes.